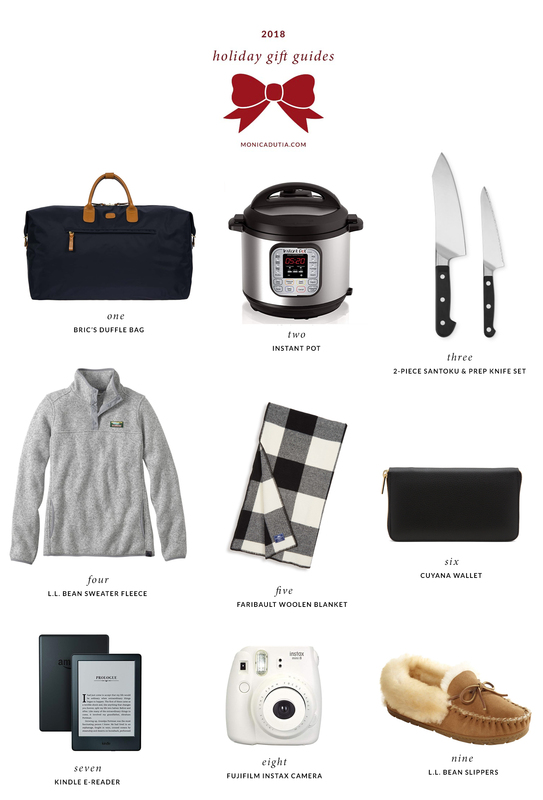 I wanted to get this guide up before the Black Friday + Cyber Monday sales hit, since most, if not all of the items, will be (or already are) heavily discounted! I think it’s easier to shop for bigger ticket items this weekend both since they’ll likely be on sale, and because then you have more of a “left over” budget to work with between now and mid-December. 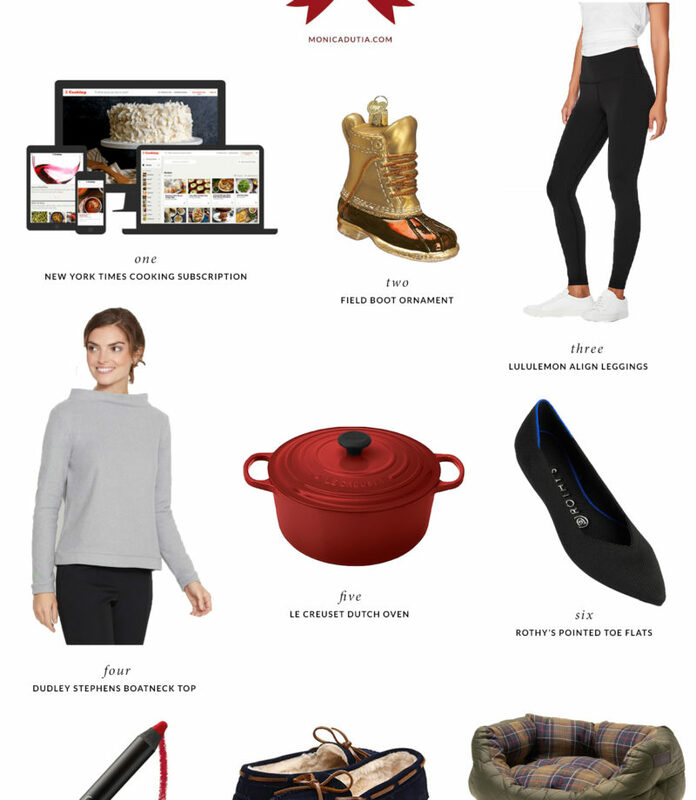 I’ll be sharing more gift guides, including “around $50” and “around $25,” but hopefully this helps check a few of the bigger items off your list later this week! 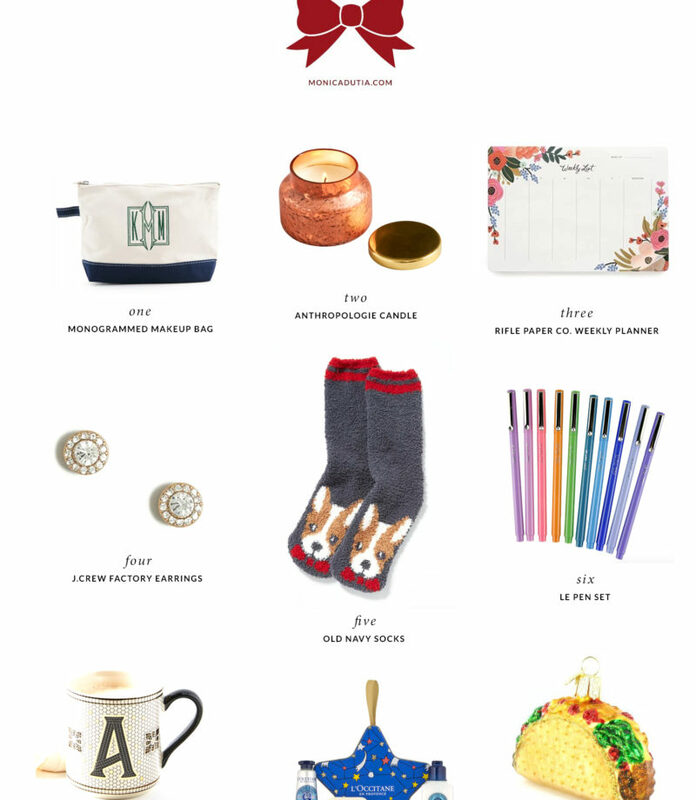 And ICYMI, here are the other 2018 gift guides so far: My own list, hostess gifts, and gifts for people who live in small spaces. Have a wonderful Thanksgiving, and I’ll see ya back here early Friday for a comprehensive sale roundup! This year is already looking goooood. SWEATER FLEECE: The L.L. Bean Sweater Fleece is the ultimate gift for men and women–I don’t know anyone who has it and doesn’t love it! It’s available in several colors and is so multipurpose, whether the recipient will primarily use it for lounging, errands, outdoor activities, travel, et al! It is the only non-workout fleece pullover I own. BRIC’S DUFFLE BAG: I got J a Bric’s duffle a few Christmas’ ago and he uses it every time he doesn’t need the increased capacity of a rolling carry-on! They’re great quality, a classic style, and don’t break the bank–you can get them on sale pretty easily, too. This one’s on closeout right now! CUYANA WALLET: Cuyana has so many great items in this range that it’s hard to narrow them down! From the wallet to the travel cases, there are a handful of versatile items that are easily customizable and perfect for people who have everything. WICKED GOOD SLIPPERS: I’m convinced these are the best slippers on the market! They’re cute, cozy, and available for both men + women. The deal is sweetened with L.L. Bean’s Black Friday + Cyber Monday sale…they’re already giving a $10 gift card with $50 purchase, which will surely continue through next Monday. KINDLE: A Kindle was one of the best gifts I’ve ever received! I’m almost certain they’ll be marked down on Friday + Monday and to go the extra mile, add a gift card so they can buy some books from the get-go, and/or look up their local library’s digital download capability–that’s how I do most of my reading! A NICE THROW BLANKET: Higher end throw blankets are one of my favorite gifts to give because like a lot of things I feature in my gift guides, they’re generally not the first thing you justify spending your own money on but are such a treat to own! I love this Faribault one and Pendleton goes on sale sometimes, too, but this, this, and this are good options closer to or less than $100. FUJIFILM INSTAX CAMERA: This was on my small space gift guide (and they seem to just have released a new, less expensive model!) but is such a fun one I had to include it again. It’s easy to carry if you’re flying and would be a fun thing to break out during holiday festivities. Seeing it gain popularity has made me nostalgic for the Poloroid days! Here to second the Kindle — it really is one of the best purchases ever! 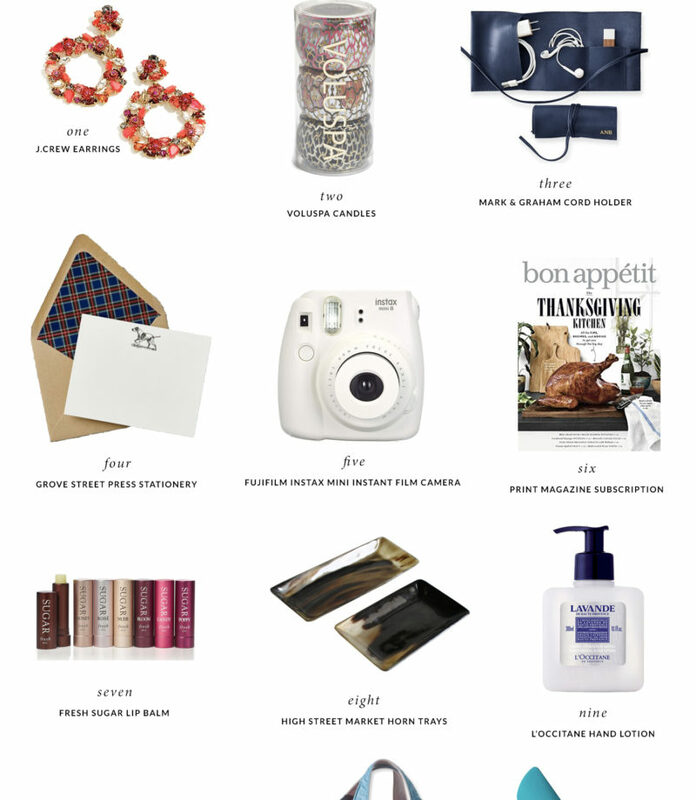 I also love Cuyana products — that wallet is gorgeous.